This is a great game made better. 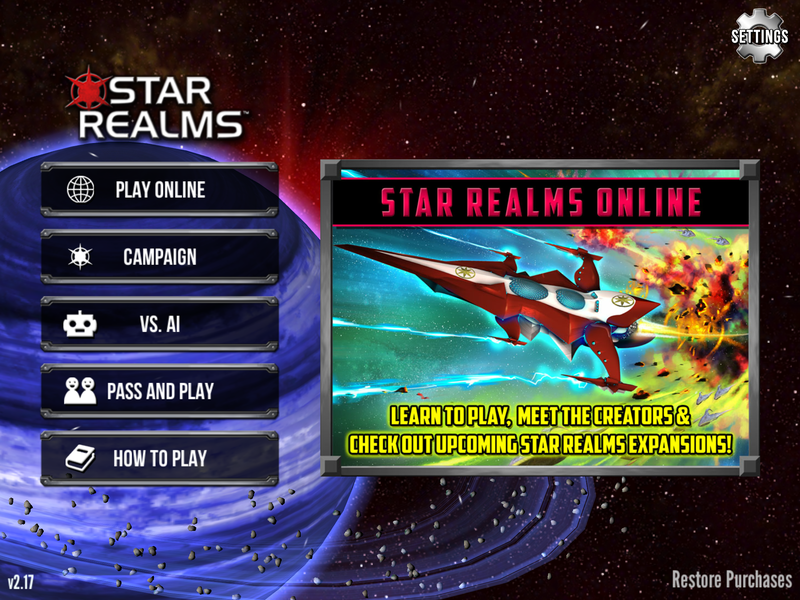 Notes: Review of the IOS version, played on my iPAd air. Latest update is 2.17 which fixed some bad bugs from the Gambit update (2.12). The new dimension to the game, are the Gambit cards that are randomly played for you at the beginning of a game (two at a time). There is often some advantage to each game, though not hugely significant as they do not decide the winner. Most Gambits often either quicken the game (usually though quick sacrifice ability for extra draws, damage, resources. Or, something taken away from the enemy), or stay held on for turning the tide later. It feels, the pick of Gambits are not blind luck to what one could hope for; they give some extra thinking for dealing with bad odds, or delivering a bigger blow to the enemy (always fun to go for the highest damage possible). The new cards for the stack are different, but not too off the wall for game balance. The regular cards are still often needed for the best devastating combos. Most notable are the new location cards, which give some sweet rewards for adding location. This makes locations more vital to the game, after thinning out Scouts and Vipers. These and rest of the cards, add unpredictability. Also, the AI seems upgraded through the update; as I now lose more in the ‘Hard” mode AI battles involving Gambit cards. The campaign mode is meh. 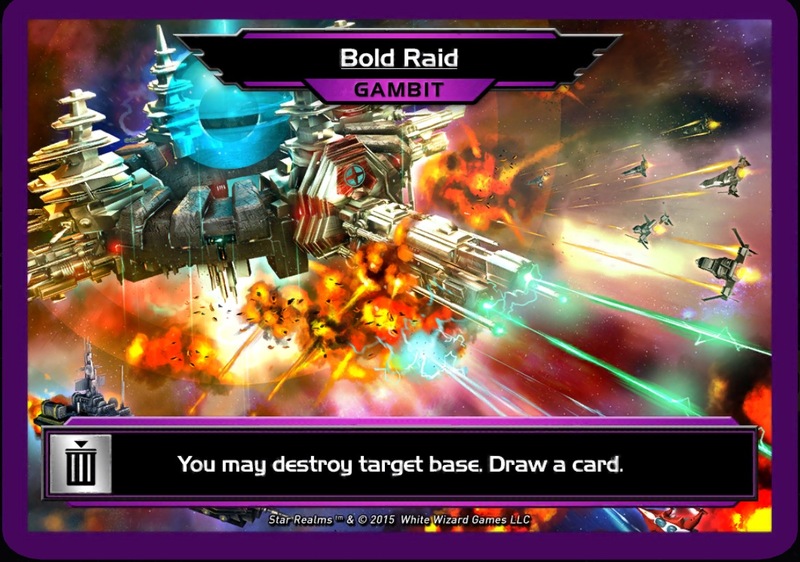 Even so, good to get through them for some new bonus Gambit cards for the deck. The storytelling is a bit wordy and bland, and the voice-over is unnecessary. That’s okay, as campaign modes are not essential to a great card game. Playing the game is world-building enough. It would be nice to perhaps save the voice-over talent used in Campaign mode for surprise random sound-bites during the game itself, instead. 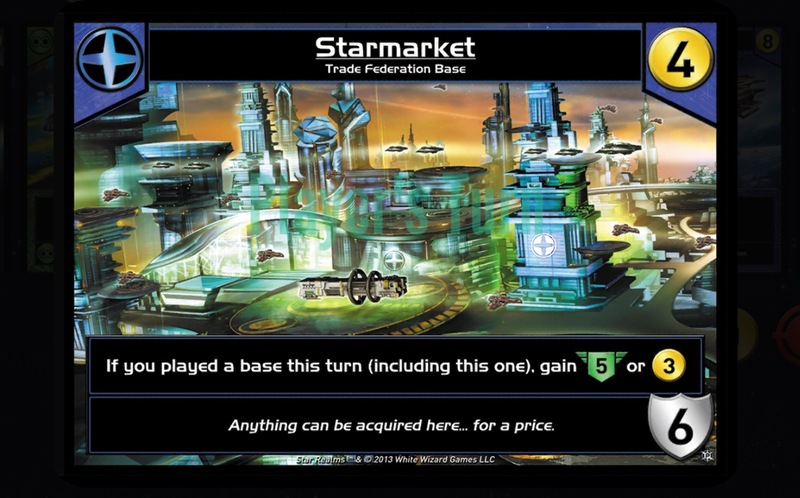 The new artwork for the cards are consistent, adding to the Star Realms atmosphere. I however wish there was some variance in the musical score. I love the epic soundtrack, but it does get stale after some time. I think I am getting used to the warping sound effect throughout the game. Still, room for improvement. Overall, great expansion that adds excitement for the game. Also, a worthy in-app purchase for those who already enjoy the game (rather than having IAP beyond the full game present to enjoy the game, like so many other mobile games out there). Here, is hoping for an eventual Crisis (now out for the physical game), and many more expansions after.